Protestant missionaries in Latin America. Colonial “civilizers” in the Pacific. Peace Corps Volunteers in Africa. 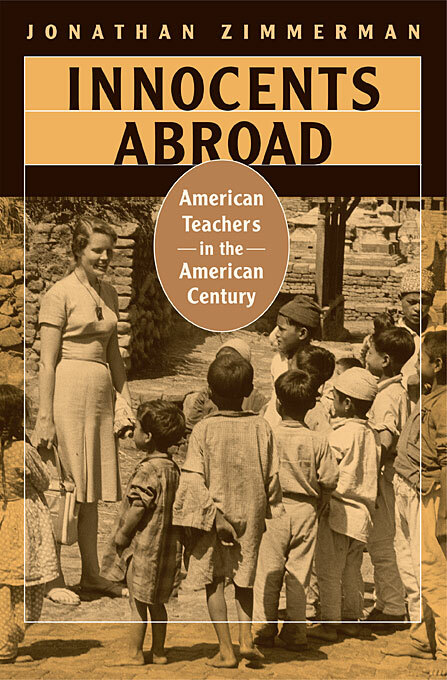 Since the 1890s, thousands of American teachers—mostly young, white, middle-class, and inexperienced—have fanned out across the globe. Innocents Abroad tells the story of what they intended to teach and what lessons they learned. Drawing on extensive archives of the teachers’ letters and diaries, as well as more recent accounts, Jonathan Zimmerman argues that until the early twentieth century, the teachers assumed their own superiority; they sought to bring civilization, Protestantism, and soap to their host countries. But by the mid-twentieth century, as teachers borrowed the concept of “culture” from influential anthropologists, they became far more self-questioning about their ethical and social assumptions, their educational theories, and the complexity of their role in a foreign society. Filled with anecdotes and dilemmas—often funny, always vivid—Zimmerman’s narrative explores the teachers’ shifting attitudes about their country and themselves, in a world that was more unexpected and unsettling than they could have imagined.